I have seemed to have a thing for breweries lately. Or, it is actually not that unusual, but it has been remarkable the last few days. 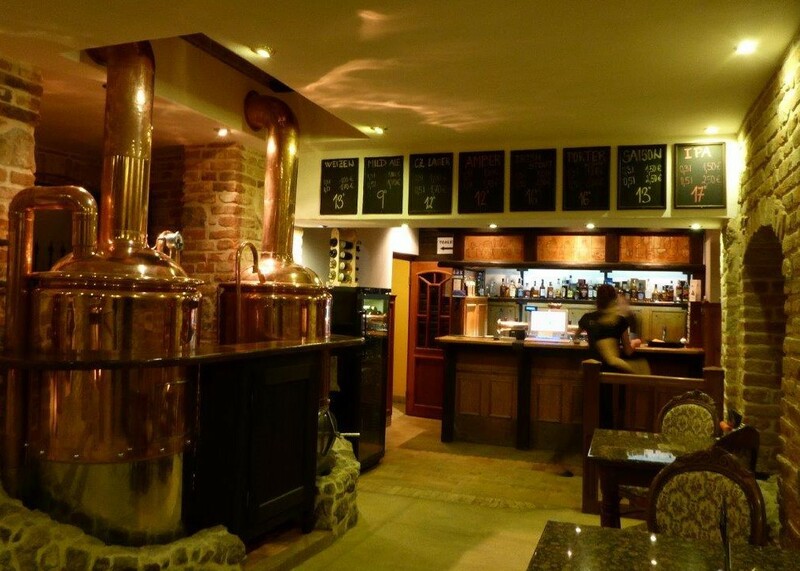 Arriving quite late in Trencin, we just checked in at Grand Hotel and went out for some food and drinks. The hotel is centrally located just in front of the central square, and since it was heavy rain, we hoped to find a place nearby. And there it was. The sign saying brewery. Or, actually more a stained glass window. Anyway; I was sold! 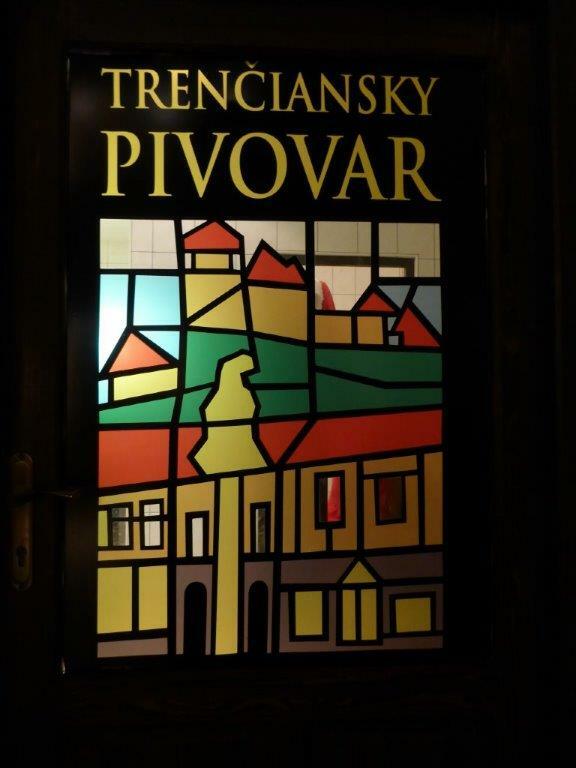 Trenčiansky pivovar Lanius is situated in an old townsman’s house from the 10th or 12th century. 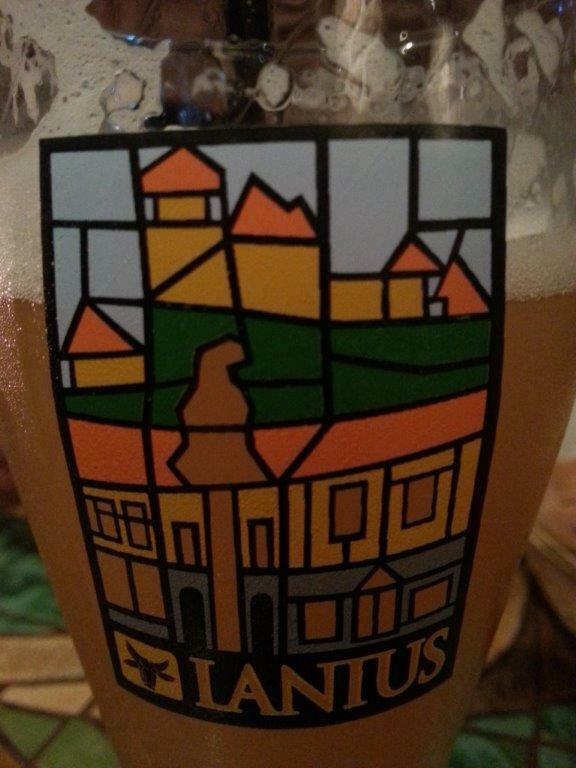 The brewery is named after Thomas Lanius (meaning butcher in latin), that owned the house and used it as a butchery. The minute you enter the house with the bricked walls and dimmed light, you get a feel of the great atmosphere. The brass brew tanks adorn the first floor, and old chairs in grandma style accompany the tiled tables on the various ledges. We went up the stairs, where several groups of friends enjoyed the food, beer and their company. Local food was off course our first pick, and we tried a little bit of everything from the starters. Their beer selection was nice and varied, and included American Wheat and India Pale Ale.